which more than 110,000 Japanese have taken. You will be provided with a seminar completion certificate. Foreign Nationals and Japanese who use English as their primary language of communication either at work or at home. 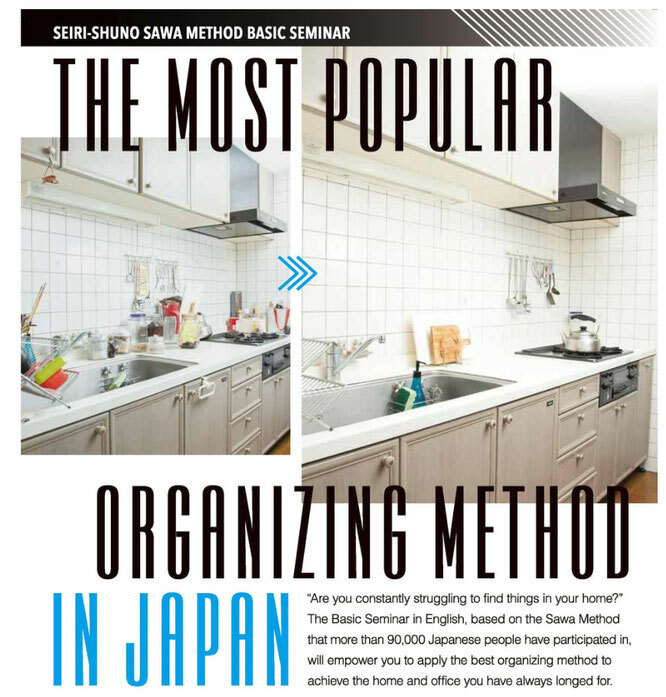 Foreign babysitters and helpers who would like to gain organizing knowledge as well as those who are interested in the Japanese way of organizing. ◇　Please register our email address global@housekeeping.or.jp so that our emails will not go into your spam folder. ◇　If you are using mobile phone email address, please register our email address first and then apply. ◇ A PC email address is preferred. ◇ After you apply, we will send you an invoice and we would appreciate it if you could settle payment through PayPal within one week. ◇ We will not allow people to change the dates after application. ◇　Please be aware that the seminar may be cancelled if a minimum number of participants is not achieved.